Teaching is a privilege as it consists of grooming children into amazing individuals with values and principles. This profession is considered to be a learning one because instructors are constantly learning from each other and from their students as well. Teachers are aware of the changing trends because every year new batches of students arrive bringing with them new views and ideas of their age. Apart from this it also helps the teachers to remain young because they interact with students. The Job opportunities available are Pre – Primary Teachers, Primary Teachers, Secondary and Senior Secondary Teachers, Lecturers, Professors and Special Educators. The Pre – Primary Teacher:the eligibility criteria for Primary school teachers is 10 + 2 Pass with at least 50% marks aggregate. Although the academic records are important, personal skills and aptitude are equally important. There are a number of vocational training centers which conduct training for preschool teachers. There are Montessori Teacher training schools which give training for pre-school education. The Primary Teacher: The minimum requirement for a primary school teacher is a graduate with a nursery training certificate / diploma or degree. The candidate must be a graduate or a post graduate with at least 55% marks aggregate and holding either a diploma or degree in education or teaching. The candidate should have studied at least one of the teaching subjects during graduation. Normally candidates who have a Bachelor in education ( B.Ed.) start their career as primary school teachers and gradually move up. Candidates who are graduates in home science can also be selected for primary school teachers. The Secondary and Senior Secondary Teacher:The eligibility criteria for the post of a Secondary Teacher requires the candidate to have a post graduate degree in the subject and a Bachelors in education ( B.Ed. ) degree in the course of interest. The B.Ed. course prepares teachers to teach in secondary schools. Teachers who have a B.Ed. 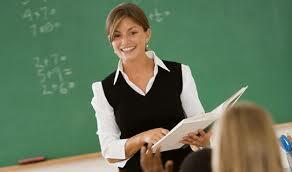 degree with a graduation in the field of choice are called Trained Graduate Teachers. Candidate with teaching experience are preferred. There are several colleges that conduct a 1 year B.Ed. Course. Some universities also offer correspondence courses for training teachers already in service. Lecturers:For the post of a lecturer in Arts, Commerce, Sciences, Social Sciences, Law, Foreign Languages and Physical Education the candidate needs to have a post graduate degree in the relevant subject from an Indian University, University or an equivalent degree from a foreign University, with at least 55% marks. To become a lecturer, individuals need to apply for the Eligibility test for lecturers (NET) which is conducted by UGC, CSIR or similar tests accredited by the UGC. Lecturers who have completed 8 years of service after regular appointment and have participated in at least two refresher courses of approved duration are appointed in the senior scale. They should also have a consistently satisfactory performance appraisal report. Professor:if one wishes to become a professor then one must have passed a Masters Degree examination from a recognized university in the subject you would like to teach. One must have scored a minimum of 55% marks in the master’s degree examination. The candidates must have qualified National Eligibility Test for Lectureship which is conducted by the University Grant Commission. Must have done exceptionally well in the Bachelors as well as Masters level in the relevant discipline. Candidates should have minimum 3 years of experience as an Assistant Professor in a recognized university or College. These individuals must hold a PhD degree in the relevant discipline. Special Education:For a Diploma in Special Education the minimum requirement is 10+2. Special educators usually deal with special children such as the blind, deaf, dumb, children with learning disorders, mentally challenged individuals and differently abled students. There are separate institutions to train special teachers such as teachers of the blind, deaf and dumb, mentally retarded, art, craft, music and physical education. A few institutes are listed below namely the Regional Institutes of Education at Mysore, Bhubaneswar, Cuttack and Ajmer are some institutes run by the NCERT. They offer a basic Graduate Degree in Art or Science along with a B.Ed. This is a four year course after school. Shivaji University, Kolhapur conducts a BA, B.Ed. course of four years duration. Barkatullah University, Bhopal conducts a BA, B.Ed. and also B.Com., B.Ed. course of four years duration. These are some of the various options available in the teaching profession.